I hope you will make a generous tax deductible donation to The Children’s Psychological Health Center. Our agency needs your support to help young children with mild to moderate autism spectrum disorders, pervasive developmental disorders and serious emotional disturbances. Demand for our help is growing fast, as more and more therapists and teachers recognize how effectively Reflective Network Therapy helps some of the nation’s most troubled preschoolers. Your contribution can help support training to certify therapists and teachers in Reflective Network Therapy, expand services at established affiliated preschools, provide therapeutic education scholarships for needy child patients, and further research to add to our body of outcome evidence for mental health gains and IQ rises commonly experienced by children treated using our method. We provide ongoing training and supervision to four affiliated preschool service sites and are working on requests to train staff at potential new sites while continuing our research, collaborating on multi-site studies and pilot projects, and filling special requests for our expertise. Special projects include “My Story About Being Homeless” created for Family Services of Seattle in conjunction with preschool education in a shelter, which is a low-cost therapy for homeless and recently homeless children in transitional housing with broad application potential to address mental health deficits of some of the most under-served children. Other special projects include our new psychoanalytically-based guided activity workbooks, such as one just completed for traumatized children in Gaza, following the success of “My Sichuan Earthquake Story,” which we created and donated to help children and families in China. We deeply appreciate your support for this increasingly rapid expansion of services. 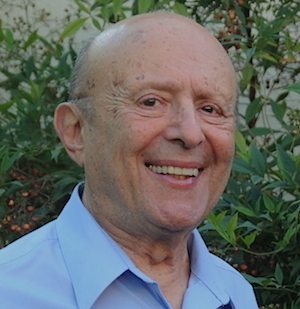 Gilbert Kliman, MD, Medical Director, The Children’s Psychological Health Center, Inc.